OWNERS WILL LISTEN TO ALL REASONABLE OFFERS! ACREAGE~ PRIVACY~NEW ROOF & HVAC!! The kiddos can ride bikes or motors on the land, invite all your friends because there is plenty of parking. This 4.5 acre retreat has its an in-ground saltwater pool including a pond. The private road leads to a full brick home with a MAIN LEVEL garage plus a full Bsmt. that is stubbed for BA & ready for expansion. Inside you will love how the Kit, BR & breakfast room is all open to enjoy each other while overlooking the pool. Kitchen features include a gas cooktop , island, built-ins & best of all is the office nook. 2-story ceilings, FP and lots of hardwoods. The Mst. BR is located on the main level with the master BA having a tub & separate shower plus 2 closets. Upstairs has 3 BRs & 2 BAs PLUS a HUGE bonus room. Also included is a water filtration system with Reverse Osmosis drinking water & Surge Protector. 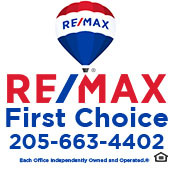 The fabulous Alabaster shopping center & the new Thompson High School is only minutes away.